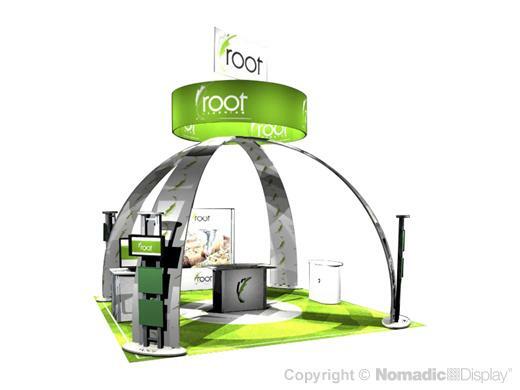 Bring your brand to life with our top-of-the-line custom modular trade show displays. Invest in a lifetime of versatility with an island custom modular trade show display that can adapt and change with your latest market challenges. Nomadic custom modular trade show booths are engineered to integrate with one another to create an impactful selling environment. Our displays incorporate tension fabric structures, radiant lighting solutions, interactive computer workstations and free standing display counters with locking storage.